"Decent Bloke, Knows His Stuff And Stuck To The Quote." "Everything No Complaints Great Service. I Would Recommend This Service." "Prompt Replies, Good Communication, Capable Workman"
"Really Polite And Friendly, Told Me What He Was Doing, Worked Efficiently." 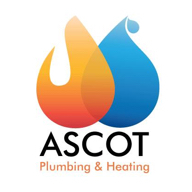 Need a Plumber, Drainage Engineer or Heating Engineer in Blackburn?